Stop number two on my 2012 Oscar breakdown involves the more old-school technical categories, the stuff that can’t be done entirely by computer. As you might imagine, these categories tend to be a parade of period pieces with some musicals thrown in. In fact, the final “Harry Potter” film looks to be the only exception to that rule this year. The last couple of years have been dominated by fantasy worlds in “Alice and Wonderland” and “Avatar.” Only the world of Harry Potter and the Deathly Hallows Part 2 boasts any fantasy qualities, but considering Stuart Craig and Stephenie McMillan have never won over the years for imagining and decorating Hogwarts, it would seem silly to honor them in the one film where the whole place is in shambles. 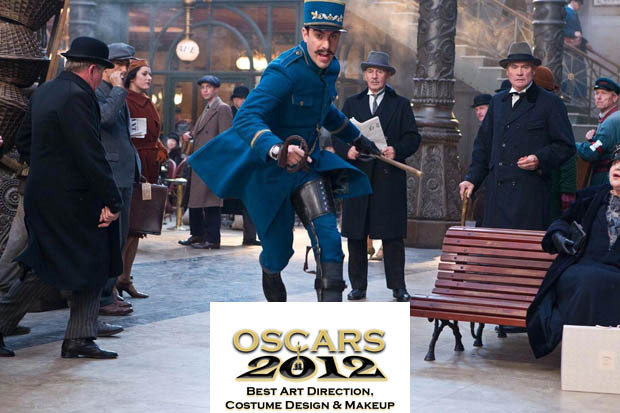 Both Midnight in Paris and Hugo boast French backdrops where fairy tales come to life, which could be where the Academy looks with this award. The “Midnight” team are rookies, but Dante Ferretti and Francesca Lo Schiavo have won multiple Oscars in the last 10 years, and once with Martin Scorsese for “The Aviator.” The way they bring the Paris train station to life stands out in my mind among the contenders. Need I mention the last two films to win this category were in 3D? On the opposite end of the spectrum, The Artist will have to overcome black and white and some rather generic sets, though the homes of the wealthy actors do stand out. Also not to be taken lightly is “Avatar” winner Rick Carter, who has the design credit on War Horse. If you’re an Oscar predictor, you know the name Sandy Powell. Powell seems to win every other year for Best Costume Design, trading off with Colleen Atwood (last year’s winner for “Alice in Wonderland”). Well, Atwood’s not in the race this year, but Powell is—and you better believe she’s the favorite for Hugo. Anonymous, Jane Eyre and W.E. are your typical period piece contenders, but one must give credit to Michael O’Connor for having previously won an Oscar for 2008’s “The Duchess” (a year with no nominations for Powell or Atwood). 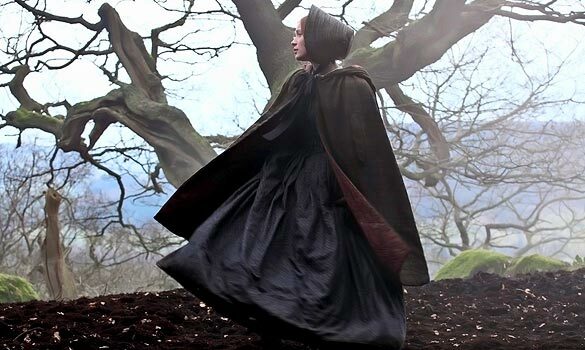 “Jane Eyre” had a crisp gothic look and the costumes were key. The Artist feels out of place here. It seems like one of those “we love this film so much we’re going to nominate for everything” situations. “The King’s Speech” won zero technical awards last year despite six nominations. If you like to bet on the English period pieces every year, you might feel inclined to steer clear of “Hugo,” but those who’ve seen the film will recall the incredible job she did with all the costumes for the silent film flashbacks. “Hugo” appears to be this year’s “The Social Network,” the film that gets lot of technical awards but no big prizes. 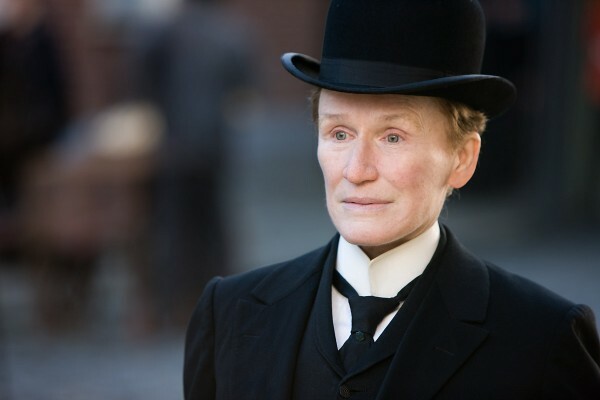 Albert Nobbs and The Iron Lady will contend on the period piece side of things. “Nobbs” will try to impress with making women look like men, while “Lady” is about transforming Meryl Streep and aging her throughout Maggie Thatcher’s career. I have not seen either film, but I’d have to go with Streep.